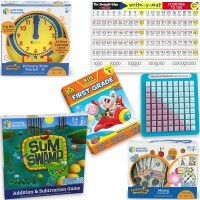 Swim like a shark in a stormy sea of numbers, math facts and numerical problems with the high tech Math Shark Practice Math Skills Electronic Game. 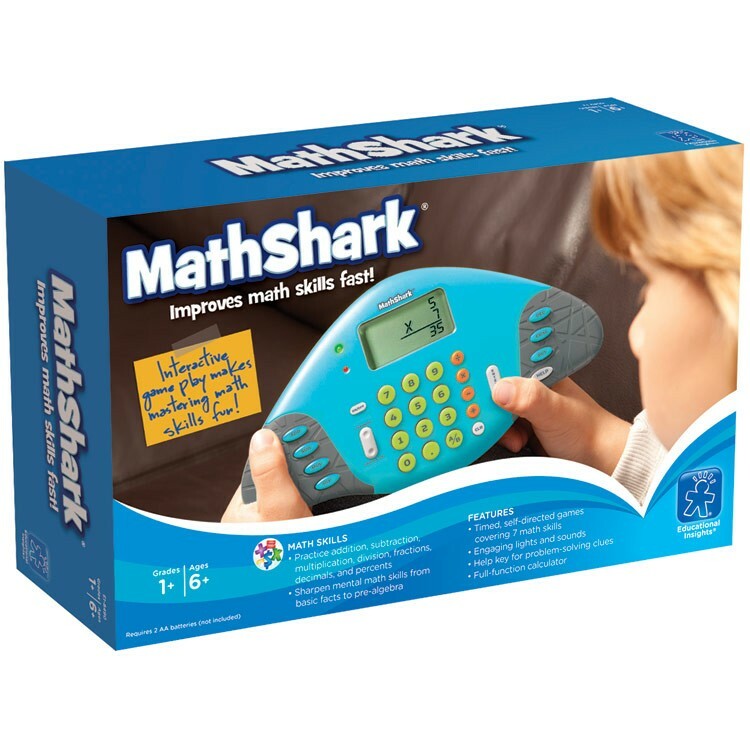 Swim like a shark in a stormy sea of numbers, math facts and numerical problems with the high tech Math Shark Practice Math Skills Electronic Game. 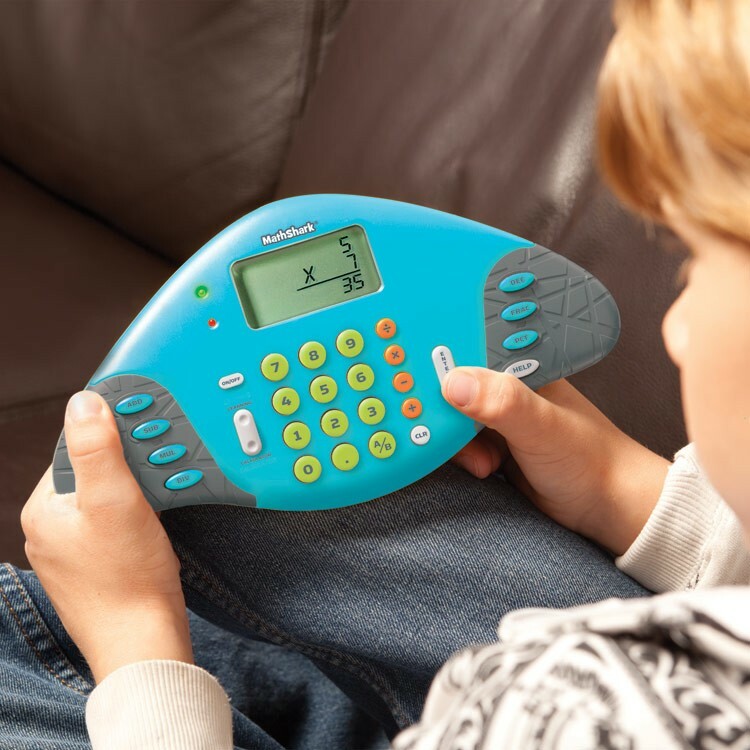 This handheld math game by Educational Insights quizzes kids on 7 different math skills: addition, subtraction, multiplication, division, fractions, decimals and percents, either randomly or sequentially. With the portable Math Shark Practice Math Skills Electronic Game children can practice math facts at home, in a classroom, on the go, at grandma's house, or anywhere you go. 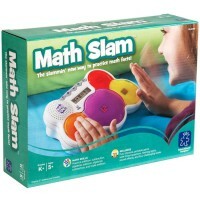 This handheld math game features 8 skill levels in each category to keep math students challenged and interested. 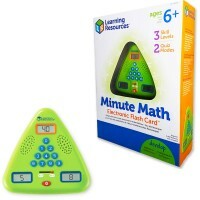 Kids will enjoy getting the math problems right even more with instant feedback with lights and sound effects. 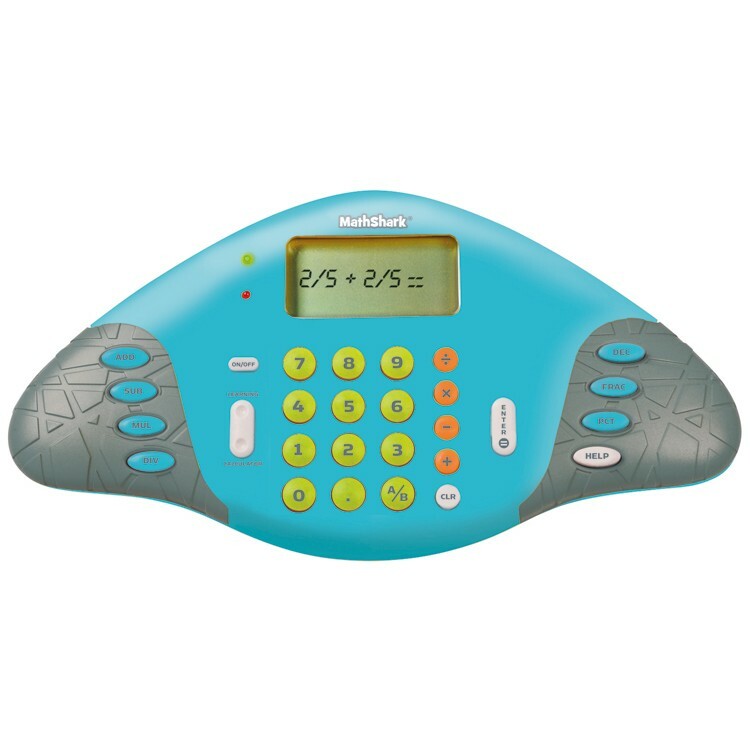 The math toy switches to full-function calculator mode with the touch of a button, and to silent mode for quiet math problem solving in a classroom. 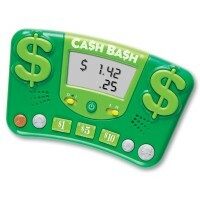 The Math Shark handheld game allows students to view equations both horizontally and vertically on the LCD screen. 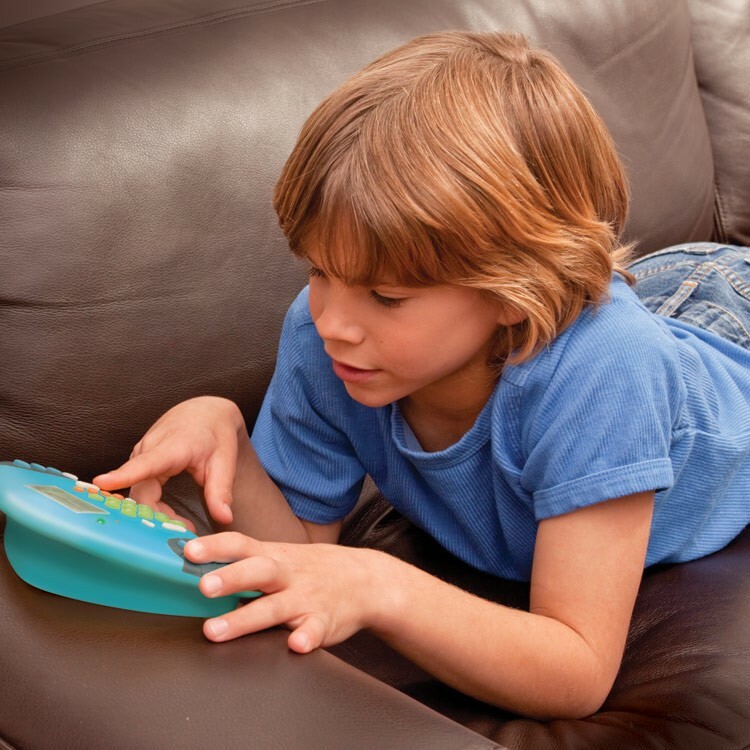 The help key provides extra clues for solving problems. 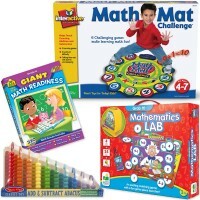 The electronic math game from Educational Toys Planet requires 2 AA batteries (not included). 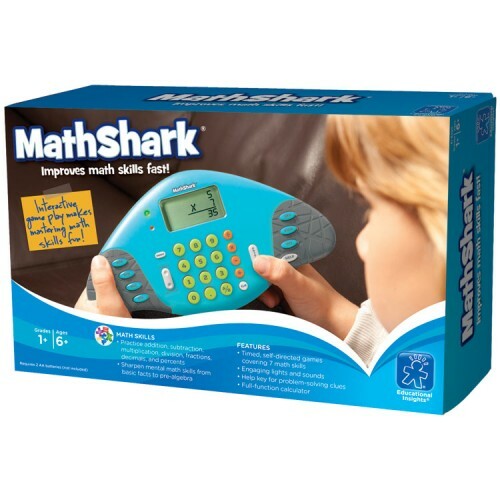 Dimensions of package 4" x 9.8" x 6.1"
Write your own review of Math Shark Practice Math Skills Electronic Game. 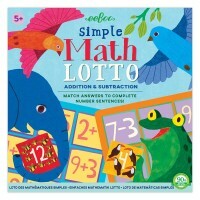 Rating: 1 Didn't work by Sunny, Educational Insights Thought this was going to be great. 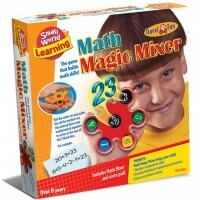 It didn't work out of box. I should have returned it. 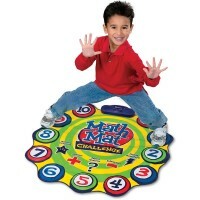 Rating: 1 Longevity/durability is a concern. 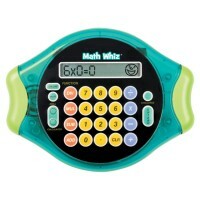 by Sunny, Educational Insights It was great until it just stopped working. The display is no longer functional. 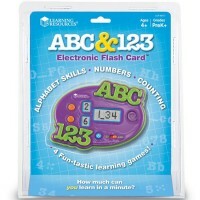 For $37, it should last longer than 2 1/2 years. Annoyed.